In the march toward making the world’s most minimal multi-tool, Leatherman unveiled its Skeletool, a compact model with just three implements: A blade, a pliers, and a bit driver. Now, the company has unveiled a tool even more pared-down. The Leatherman Freestyle includes a blade and a pliers — and nothing else. It is slightly smaller and lighter than the Skeletool, and it has a similar look. But the handle has been changed and the company removed the screwdriver feature and the carabiner clip. 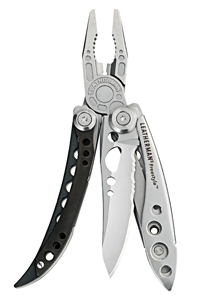 The result is the industry’s “lightest multi-tool with a full-size pliers,” according to Leatherman. It weighs a mere 4.5 ounces and sit at just 3.45 inches long when closed up and in a pocket. The Freestyle only costs $45 — whereas the price of the Skeletool is $65. 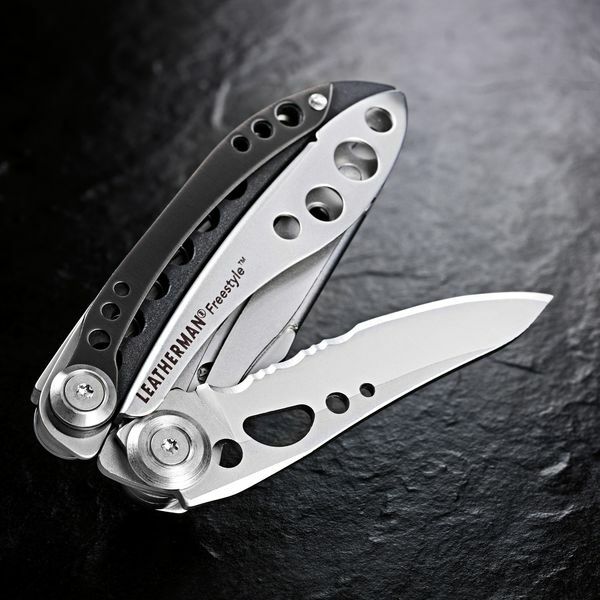 Leatherman touts the two-function Freestyle as an everyday tool used in situations where you need to cut, yank, grip, or pry. Additionally, the company offers that it may supplement an activity-specific tool that doesn’t have a strong pliers or a knife. The Freestyle’s blade is 2.5 inches long and made of stainless steel. It is on the outside of the tool, meaning you can leave the handles closed to access the blade, which flicks open with one hand. The tool’s body and handle combine stainless steel with a Zytel plastic hybrid insert for comfort. The pliers have a regular grip area and a needle-nose plus a wire cutter. A second iteration — the Freestyle CX — uses “premium materials,” including carbon fiber instead of Zytel on the handle.